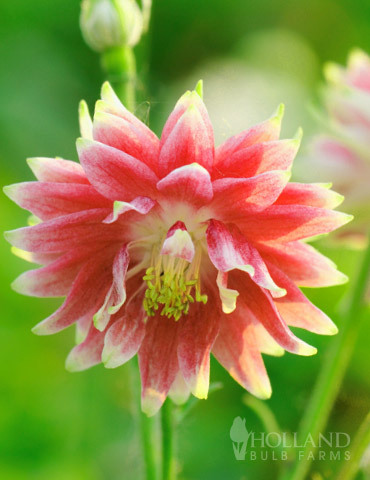 Pink and White Double blooms adorn this Barlow series Columbine. Performs best if planted in part sun, and well drained soil. Combines well with other spring blooming perennials that prefer a bit of shade such as, White and Black Barlow Columbine, Thriller Ladies Mantle, and White Bleeding Hearts. Also great for attracting butterflies and hummingbirds to your garden.